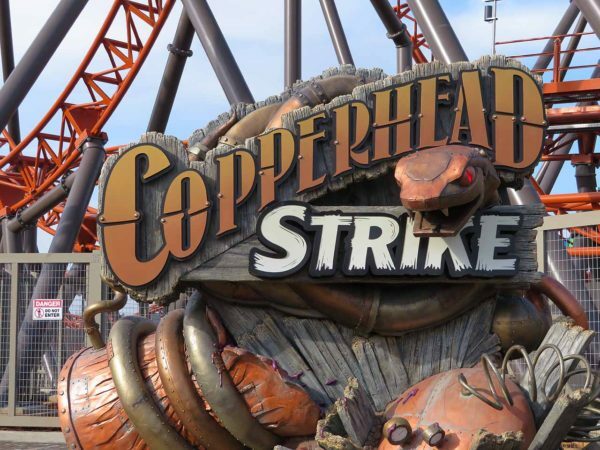 At Coaster101, we’ve had a great time covering Carowinds‘ newest roller coaster, Copperhead Strike, from teases, to announcement, to construction (and more construction, and more construction, and more construction, and more construction!) to actually getting to experience the Carolinas’ first double launch coaster first-hand, and appreciate the top-tier theming that went into the attraction. But, what’s the fun in covering Copperhead Strike if we can’t share it with our audience? 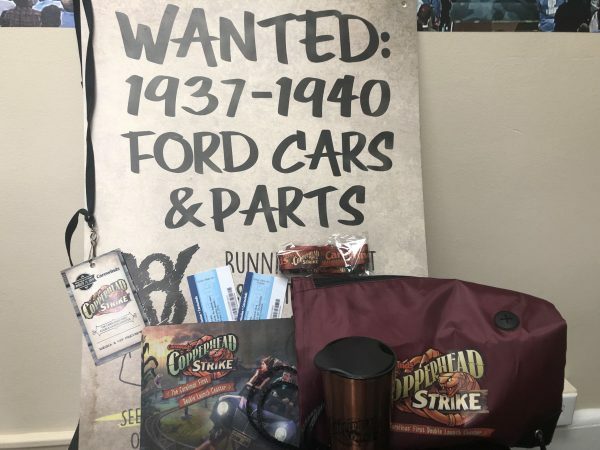 We’re giving away a Copperhead Strike prize pack to celebrate the new roller coaster at Carowinds! But, this isn’t your ordinary Coaster101 prize pack! 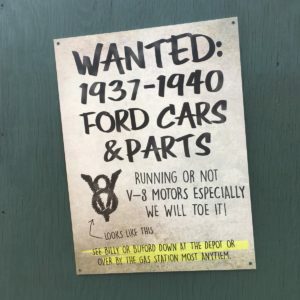 Thanks to our friends at Carowinds, we’ve been able to include some very unique prizes, including a sign from the Copperhead Strike Construction Fence and Two (2) One-Day Tickets to Carowinds! But how do you enter? It’s easy! We’re utilizing Gleam.io for this Giveaway. Follow the steps below to claim your entries! The contest will run through April 21, so you have plenty of time to enter. There are also daily bonus entries available! The Fine Print: This promotion is in no way sponsored, endorsed or administered by, or associated with, Twitter, YouTube, Instagram or Facebook. Due to shipping costs, you must reside in the United States to win. Carowinds and Coaster101 aren’t responsible for lost, damaged, or stolen theme park tickets. As a former employee, I would kill for this prize pack! !